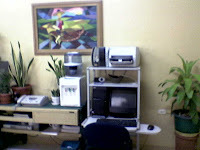 Welcome to my newly renovated office!!! 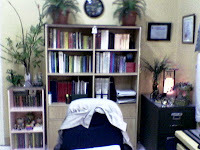 I am very proud of my new office because I am hands-on on every aspect of its renovation. From the selection of materials to the design of the furnitures and fixtures. The theme is somewhat of an old school type where hues of yellow and orange abound. 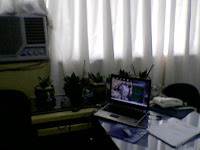 And then we have put several indoor plants to have that feel of nature and of course for that much needed oxygen rush. 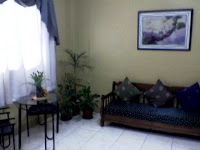 This is where I receive my guests! 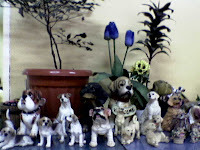 Near the door are my collections of dogs.